Aviation Updates Philippines - Eastern Samar Representative, Ben Evardone plans to revoke Cebu Pacific's franchise after the carrier left thousands of passengers stranded at the Ninoy Aquino International Airport due to cancelled and delayed flights on December 24, 25 and 26. However, the congress won't easily revoke an airline's franchise, only if the airline committed gross violation. “There have been complaints by paying passengers on Cebu Pacific’s poor services, resulting in long queues, flight delays and cancellations without due notice, overbooking, among others, even on Christmas holidays, on December 24, 25, and 26, 2014, in particular,” Rep. Evardone said in the advanced copy of the resolution. According to the franchise granted by the Congress to Cebu Pacific, it only states that “except in cases of force majeure and whenever weather conditions permit, the grantee should maintain scheduled and/or non-scheduled and/or chartered air transport services between any and all points and places throughout the Philippines and other countries at such frequencies as traffic needs may require, provided, however, that at least 25 percent of all its frequencies shall be for the domestic market," a Manila Times report stated. Recently, thousands of passengers were affected by cancelled and delayed flights two weeks ago due to the bad weather, air traffic congestion, overbooking, and the lack of manpower. According to some of the passengers, there are only three personnel assisting the passengers in Cebu Pacific's check-in counter at the Ninoy Aquino International Airport Terminal 3. “Revocation of the franchise can only happen if there is gross violation of the terms of reference given them. We cannot afford to arbitrarily revoke it without looking at the overall picture of the industry and the possible effects on connectivity, especially in an archipelago like ours that might lead to further chaos,” Vice Chairperson of the House Committee on Transportation, Rep. Mel Senen Sarmiento of Western Samar told the Manila Times through a text message. 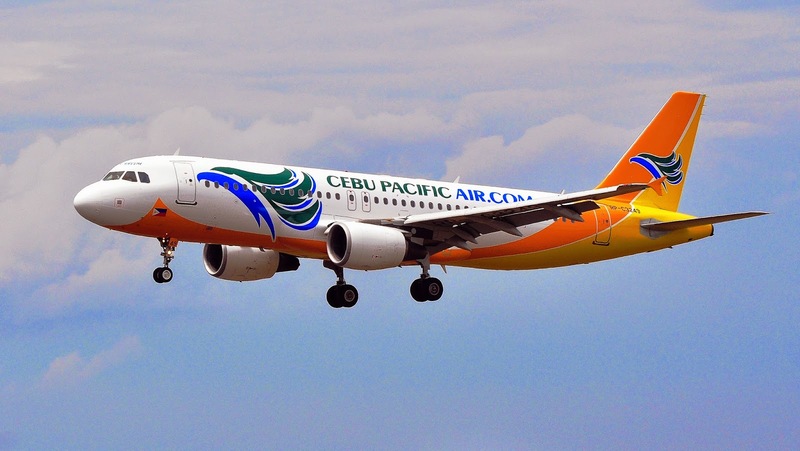 Evardone said that revoking of Cebu Pacific's franchise to operate, which was granted under Republic Act 7151, might be the action taken by the House. Evardone will file a resolution calling for the House inquiry on Monday. According to Sarmiento, the franchise revocation is too harsh a recourse; he said that Cebu Pacific still ought to be penalized subject to the outcome of the Congress probe, a report stated. Once the carrier's franchise is revoked, the carrier will not be allowed to operate anymore which will affect the economy once it cancels all its international and domestic flights. And once these destinations which are not being served by Philippine carriers disconnect with Manila, passengers will be forced to have a connecting flight. “To protect the riding public, a warning with a corresponding penalty should be given. A low-cost carrier airline should not provide a shabby service,” Sarmiento said. The main purpose of low-cost carriers is to deliver each passenger from point A to point B, safely. Low-cost carriers, such as Cebu Pacific, do not focus on giving each passenger a five-star service. When is the violation considered gross? Is the concept similar to civil law which connects the term gross to bad faith? Allegedly, there were reports that 700 cebupac flights were affected by the delays and cancellations on such dates. Assuming all these flights were made by 32-seater planes, it means 22,400 passengers affected. Or 22,400 individual contracts with paying passengers not faithfully respected absent a justifiable reason for each. This is a profit taking greedy airline with out any compassion at all to all paying passengers. I hope your franchise will get "REVOKED". You can compensate us financially but the precious time that we lost in the Yuletide Season cause of your greediness (overbooking) must not go unpunished! If there is justice in this country... Please see that they will answer to it!